This article on Oklahoma state parks is brought to you by Mountain House, whose brand new savory Fusilli Pasta meal is the perfect addition to your freeze dried food supply for your next OK adventure. When you’re thinking of your next vacation destination, your mind might not jump to the state of Oklahoma. If Oklahoma has never made it on your list of places to camp, it’s time to revisit your summer adventure plans. 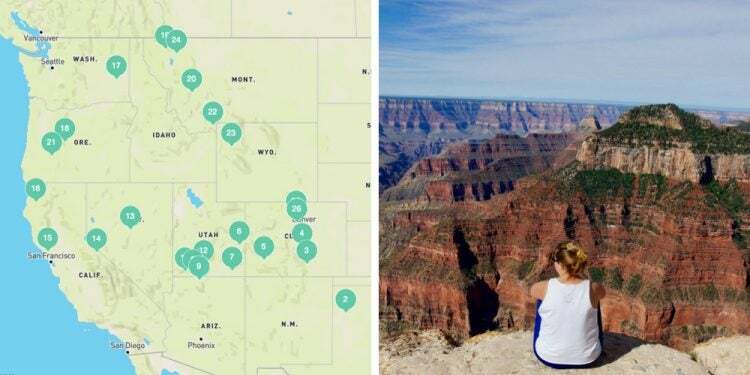 While the Sooner State might not boast the more traditional wilderness of the Appalachians or the towering Evergreens of the Pacific Northwest, this midwestern state boasts over 30 state parks. Between a park with a boiling spring at its center and a natural cave network that served as a hideout for old western outlaws, Oklahoma state parks are some of the most unique in the country and offer visitors a chance to get to know the state’s wilderness while indulging in its richly rooted history. 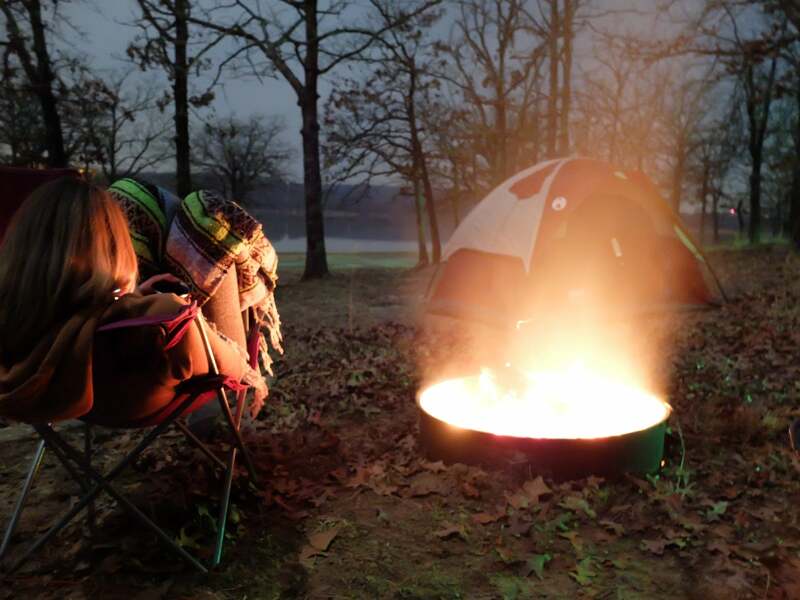 We’ve narrowed down some of the top attractions for experiencing the weird yet wonderful side of Oklahoma camping. 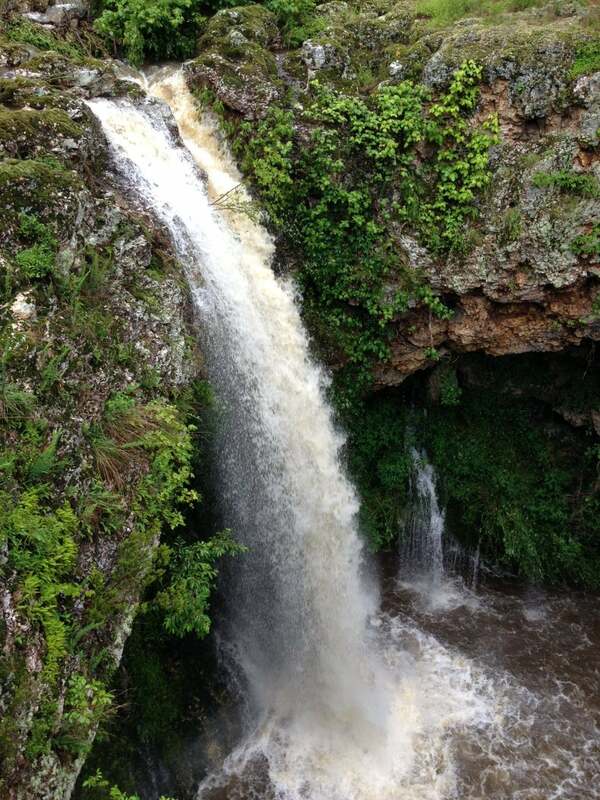 Image from The Dyrt camper Katie K.
Interested in the more rugged side of Oklahoma? Beavers Bend State Park offers everything from fishing to biking to river float trips. 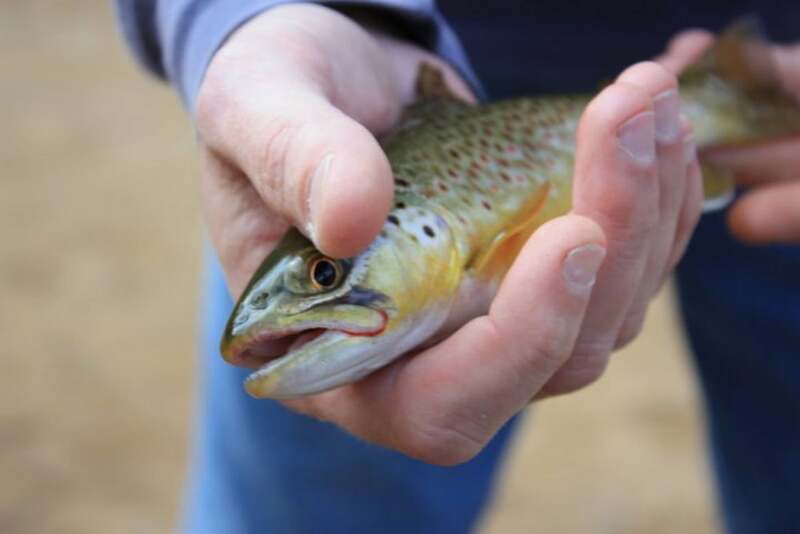 The streams are stocked with trout year-round, and this state park includes an unprecedented two catch-and-release trophy areas, which draws visitors from all over the state. Complete with a lodge on-site, Beavers Bend is an optimal option for outdoor access year-round and offers some of Oklahoma’s best variety of adventurous activities. Camping at Beavers Bend includes 393 campsites for both RVs and tent campers, along with 47 cabins spread throughout the park. Image from The Dyrt camper Annie C.
Located in Hinton, Oklahoma, Red Rock Canyon Adventure Park is a former state park that contains 300 acres of red rock cliffs formed from 260-million-year-old soil deposits. 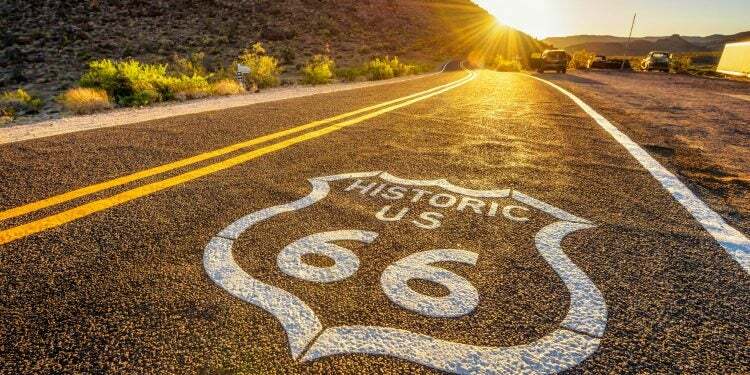 In addition to being a safe haven for the Plains Indians during the harsh winters, the park was a major landmark on the California Road in the 1800s, just prior to the Gold Rush. 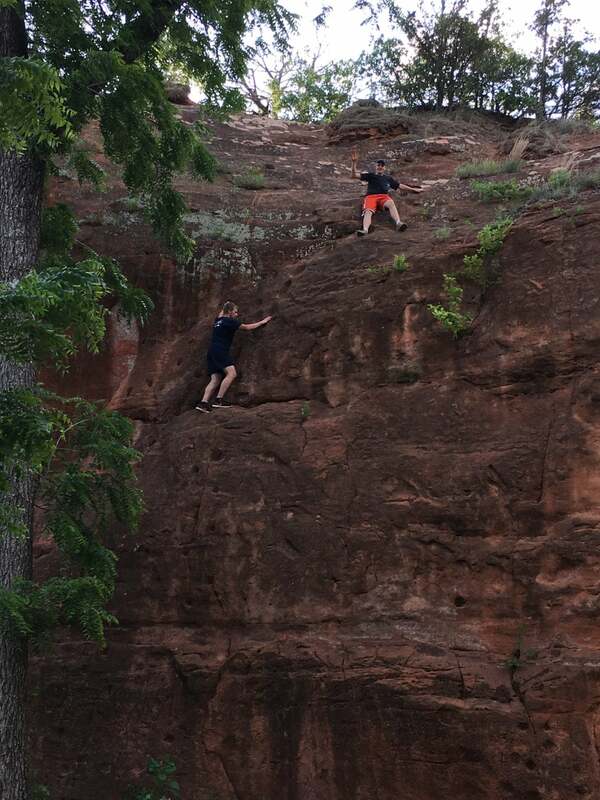 Along with hiking up to fantastic views of the surrounding landscape, the cliffs that surround the park provide excellent climbing and rappelling opportunities. The campground at the park includes 30 tent camping sites with full amenities (a picnic bench, charcoal grill, and a fire ring) as well as 30 campsites without fire rings, spread between three locations. Image from The Dyrt camper Chad K.
At the border of Oklahoma and Arkansas rests one of the Sooner State’s most epic natural wonders. Nestled in the Ozark highlands, the iconic 77-foot waterfall that gives Natural Falls State Park its name creates an oasis of its own at the bottom of a narrow valley. The park offers two up-close viewing platforms, one overlooking the falls and one at the base of the falls (with seating!). The forest around the falls is just as magnificent, featuring dense clusters of maples, white oaks, and chinquapin, and a variety of local vegetation that thrives in and around the moist environment created by the falls. Along with a campground offering 44 RV sites and 17 tent sites, Natural Falls State Park offers five yurts fully stocked with all the amenities of a cabin or lodge. 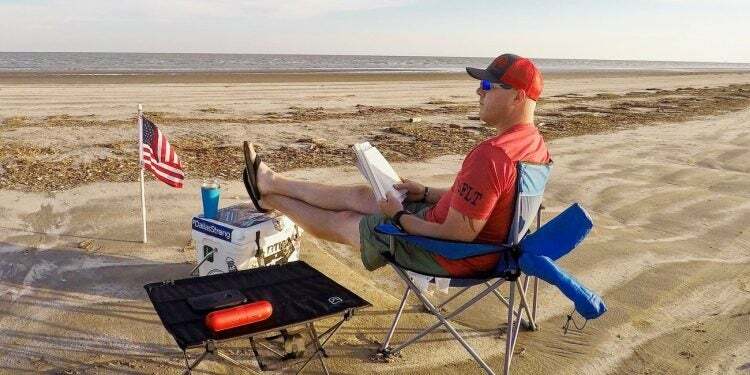 Image from The Dyrt camper Dusty G.
Located in Lake Eufaula State Park (home to the largest human-built lake in Oklahoma), the Arrowhead Area is a 2,200 acre outdoor space that offers an abundance of outdoor activities, including boating, camping, and hiking. The Arrowhead Hiking Trail is a three-mile trail that is recommended for advanced hikers only due to the elevation gains and hilliness of the route, but offers visitors the chance to travel between the two campgrounds in the Arrowhead Area. 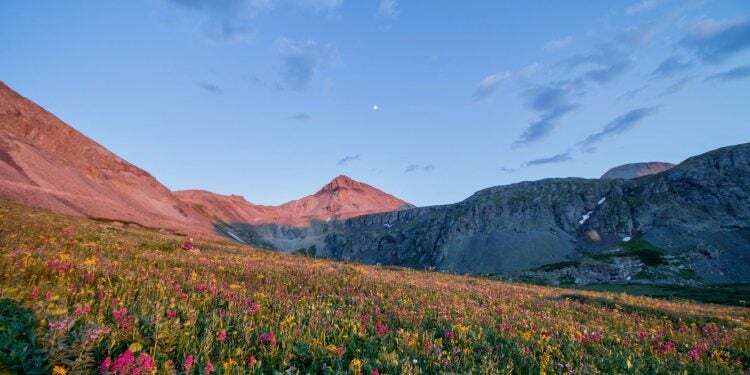 Frequently spotted in and around the Arrowhead Area’s more remote campsites are a few species of wildlife that make their home amongst the hilly terrain, including deer, wild turkeys, and rabbits. The park also contains a full 18-hole golf course, which provides an excellent view of the lake as well as unparalleled access to the water activities available in the park. 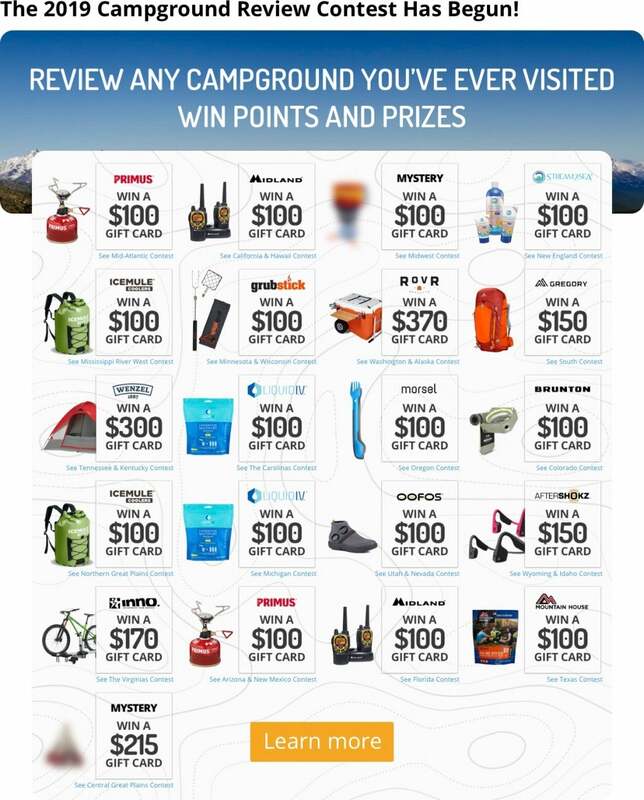 The campground at Arrowhead Area includes 91 tent sites and 91 RV sites, including 20 that offer full hookups. For those with horses, the park even offers a number of equestrian sites, including hitching posts, water and electric hookups. Feel like flying in? The Arrowhead Area offers an airstrip for visitors who’d like to enter the park in style. Boiling Springs State Park is located on the plains of Oklahoma in Woodward, though that doesn’t mean it’s dry. Named for the natural “boiling” spring that still flows today, the park is one of the seven original state parks in Oklahoma. Though it’s a naturally-occurring spring, the water only appears to be boiling as the sand above the underground inrush moves with the water. In reality, the water is quite cool, and was explored by some of the earliest Spanish expeditions, as well as used as an encampment for Native American tribes in the area. Today, the boiling spring is showcased at the on-site interpretive center. There are 40 RV sites within Boiling Springs State Park, as well as 12 tent sites and a larger group site. Four cabins are available for rent at $105 per night with a two-day minimum on holidays and weekends. 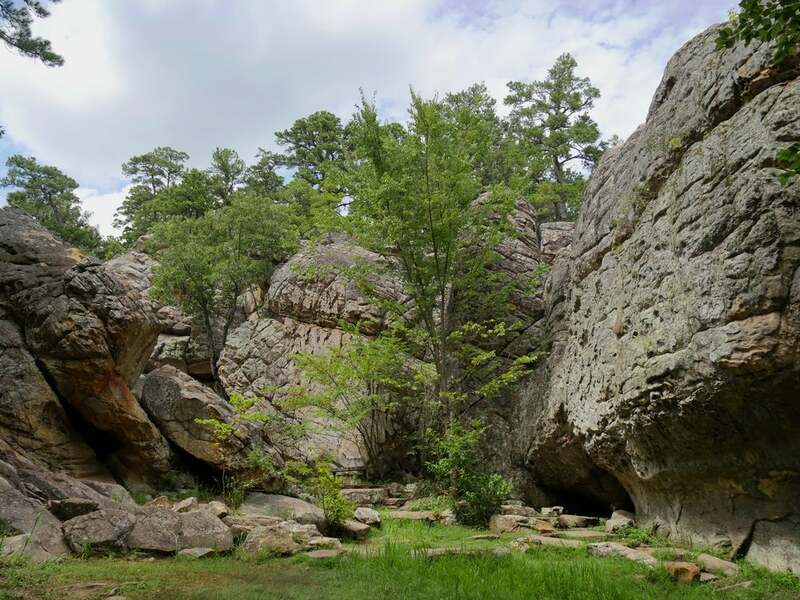 Covering more than 8,000 acres, Robbers Cave State Park is the second largest of the 41 Oklahoma state parks, and contains as much history as it does gorgeous wildlife and scenery. While the intricate network of caves is perfect for spelunking, rappelling, and climbing, the caves themselves are also rich with mystery. Before Robbers Cave was the most notorious of Oklahoma state parks, it was an infamous hideout for criminals including Belle Starr—“Queen of the Oklahoma Outlaws”—and ever-notorious outlaw Jesse James. Rumors still circulate that, in certain less-travelled parts of the park, there might even be treasure (probably stolen) left behind by outlaws on the run. 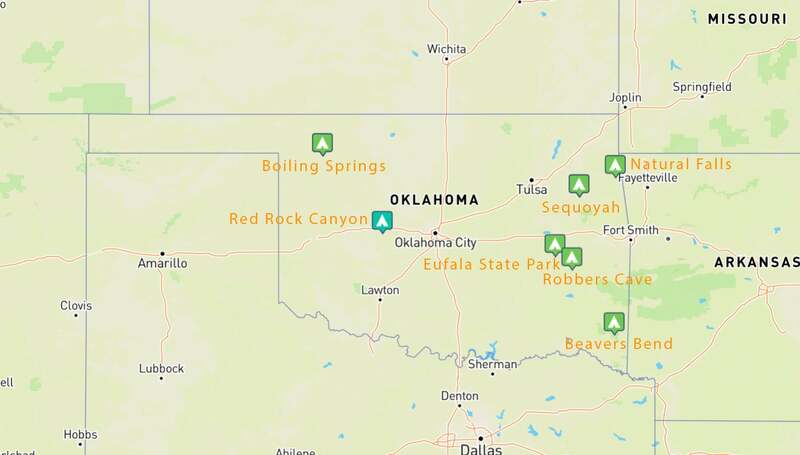 Those interested in camping in the footprints of the famed Oklahoma bandits can find a variety of spots available, including 80-some RV sites with electrical and water hookups, and 86 primitive camping sites, all of which are located along the secluded trails that run through the park. In addition to the campgrounds, Robber’s Cave State Parks offers 26 cabins with park views to boot. Equestrian sites are available as well. 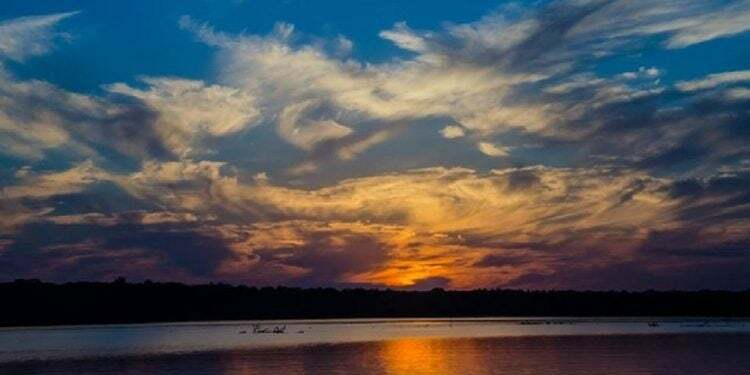 Located in Hulbert, Oklahoma on the shores of Fort Gibson Lake, Sequoyah State Park features the most extensive water network of all of Oklahoma’s state parks, including both 225 miles of shoreline and over 19,000 surface acres of water. The park is a must-see for lovers of boating, fishing, and all other water sports, and includes several excellent beaches from which more casual visitors can watch the flurry of surface activity. Given the popularity of the park, Sequoyah includes a lodge with 104 rooms and 45 cottages, as well as campgrounds with 48 full hookup RV sites and 80 water and electric sites. Two additional campgrounds on the property include 124 additional sites for RVers. There are 150 tent sites spread throughout the park, all of which are first come, first served. Have your own wild, wonderful, and weird experience at one of these Oklahoma state parks? 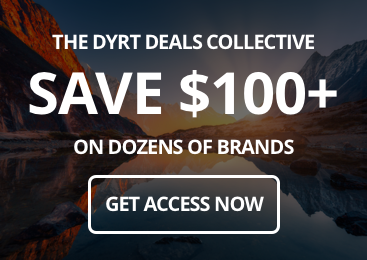 Let us know on The Dyrt! Mountain House’s NEW Fusilli Pasta is the ideal backpacking food. Pairing the authentic taste of a home-cooked Italian meal with the convenience and ease of Mountain House’s time-tested food products, this dish is sure to elevate your camping game. Tyler Wildeck is a writer with a passion for all things outdoors. His favorite place he's ever visited is Alaska, and his favorite activity might be fishing or reading, depending on the day. In his free time, Tyler can be found searching Portland for the next great food establishment or perusing the many bookshelves of Powell's.